So it was funny to see those colors on our plates aswell. We had an easy meal... Bought in vegetable fries, sweet potatoe and parsnip. They looked ok, tasted the same. But it’s nog going to come into the cottage again, as I had an upset tummy afterworths. We where seduced by the affordable price and promise of a fun (and fast) dinner. Oh well, homemade is always better I guess. How’s life at your place? 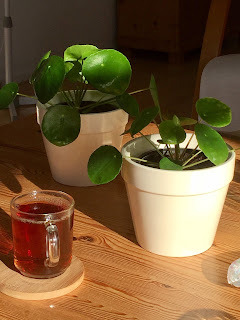 Got a pancake plant, or know what they are called in English? 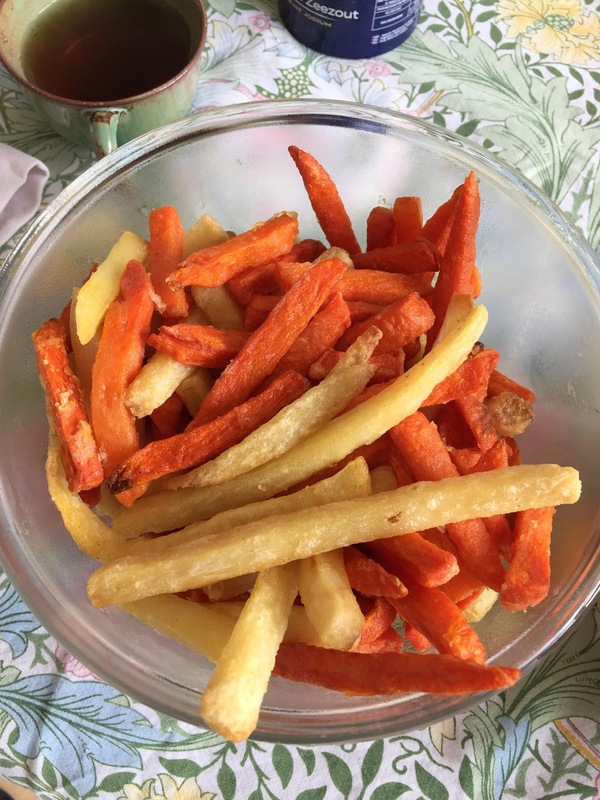 Ever had veggie fries? Didn’t fall well with you either? Do tell! !